We are pleased to announce the launch of our latest analytics module - Text Analysis/Tagging. Pie Charts to visualize the data. Text Category can be set up on an Open Ended Text - Comments Box type question. * Click on the Add New link for adding a new category. * Enter in the name for the category. 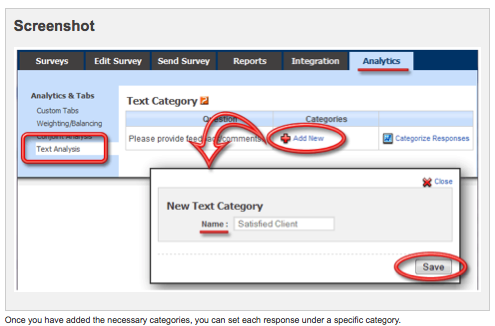 * For the Text Response click on the Category Name to assign the category. 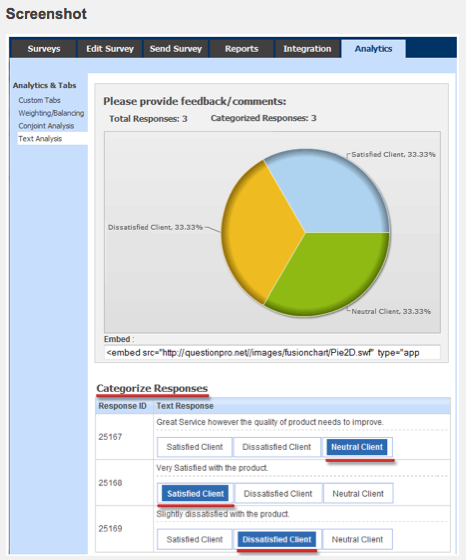 Once you have categorized all responses under the appropriate categories, you can view pie-chart reports for the categorized data.